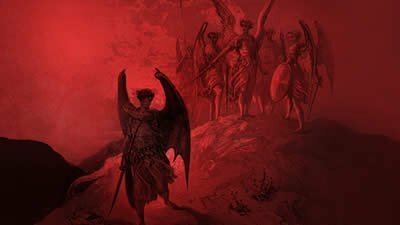 Christians are often asked questions about Satan: Who is he? Was he created? When was he created? Satan is bound by time. He is neither omnipresent as God is nor is he omniscient. People fail to realize that Satan has no power in hell. Satan is not the “ruler” in hell but will be a captive of it just as they will be if they don’t receive the free gift of eternal life. The Bible tells us that Satan used a real serpent to deceive Eve. And because of his entrance into the serpent, he can rightly be called the “serpent of old” or “great dragon” in Revelation. Jesus indeed told His followers to pray for those who spitefully use them, but the context of these passages makes it clear that Jesus was speaking about how to treat our fellow man. Nowhere in Scripture are we asked or commanded to pray for the salvation of Satan or his angels. When we talk about famous Bible events we often assume we know what happened in rich detail, until someone asks, “But where’s that" in the Bible?” Then we realize how many details came from teachers, books, or movies, and not from Scripture. What does the Bible really reveal about that sly creature whose temptation brought ruin upon mankind? Christians are often asked questions about Satan: Who is he? Was he created? When was he created? The Devil Is in the Details … or Is He? 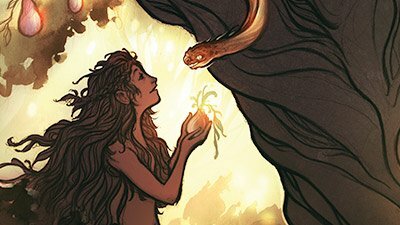 We know all about the serpent in the Garden of Eden and the apple he offered Eve, right? Let’s take a closer look at the actual words of Scripture. Feedback: Should We Pray for Satan? We are told to pray for our enemies. Does that mean we should also pray for Satan? Troy Lacey, AiG–U.S., explains. We received a letter with some disagreements on a few points in The Fall of Satan. 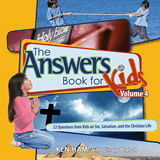 We hope that this reply will cause others to dig into the Scriptures and seek these things out in God’s Word. Can Satan, Demons, and Angels Still Show Mercy and Have Feelings like Joy, Sadness, and Fear? In our secularized culture, there is a lot of mythology surrounding Satan, angels, demons, and so on. Who Is Satan and Was He Always Called “Satan”? Who is the “dragon of old” and where did his name come from? Was Satan the Actual Serpent in the Garden? Does the description in Revelation of Satan being the “serpent of old” imply a real serpent wasn’t present in Genesis 3? 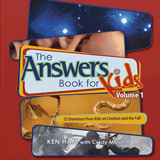 Perhaps the most common questions asked of Answers in Genesis—next to evolution and millions of years—relate to Satan, the origin of sin and evil, and the Fall of man in general. Although Genesis does not mention the name “Satan” as controlling the serpent in the Garden of Eden, we can ascertain who this serpent was. Do verses in Ezekiel and Isaiah referring to earthly kings or Satan’s fall? Troy Lacey revisits his argument on the first sin.